United Democratic Front (UDF) President Atupele Austin Muluzi has appointed Member of Parliament for Karonga Central Frank Tumpale Mwenefumbo as his running mate ahead of the forthcoming May 21 tripartite election. The Selection of Mwenefumbo was done in part to garner votes in Northern Region. 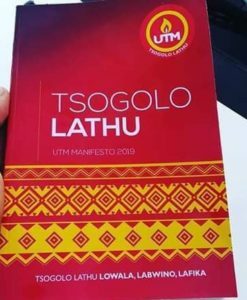 Atupele who does not have a very realistic chance of winning in May was heavily courted by UTM and DPP but was rebuffed because he was making demands that were un-acceptable to both parties. 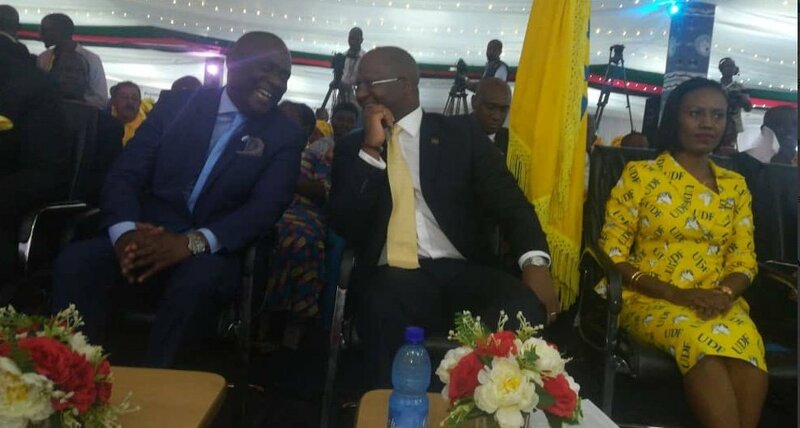 Muluzi unveiled Mwenefumbo at Comesa Hall on Thursday during his presentation of nomination papers to the Malawi Electoral Commission (MEC). Mwenefumbo was recently involved in leadership squabbles with Alliance for Democracy AFORD) President Enock Chihana following a convention held in the capital Lilongwe in April last year. The two all claimed to be legitimate leaders of AFORD, forcing the Chihana camp to seek legal address on the matter. But the court nullified the result of the convention, asking the party to call for fresh convention.